The Priest magazine, now available in digital format, is written and edited every month with the needs and interests of priests in mind. Articles cover topics such as Catholic ethics, parish finances, and homily helps. 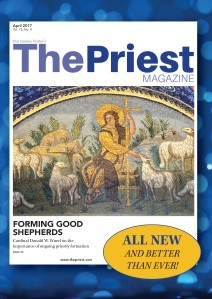 The digital edition of The Priest includes access to all current articles. All digital edition subscriptions are available as auto-renewal only. You may cancel at any time.